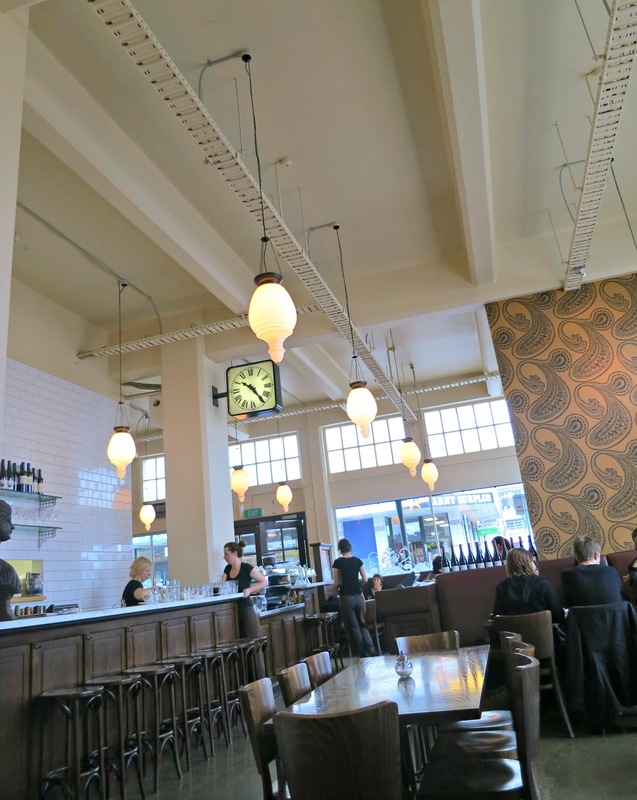 As you know I have visited Wellington quite often in the past few months and I have grown to really like it. 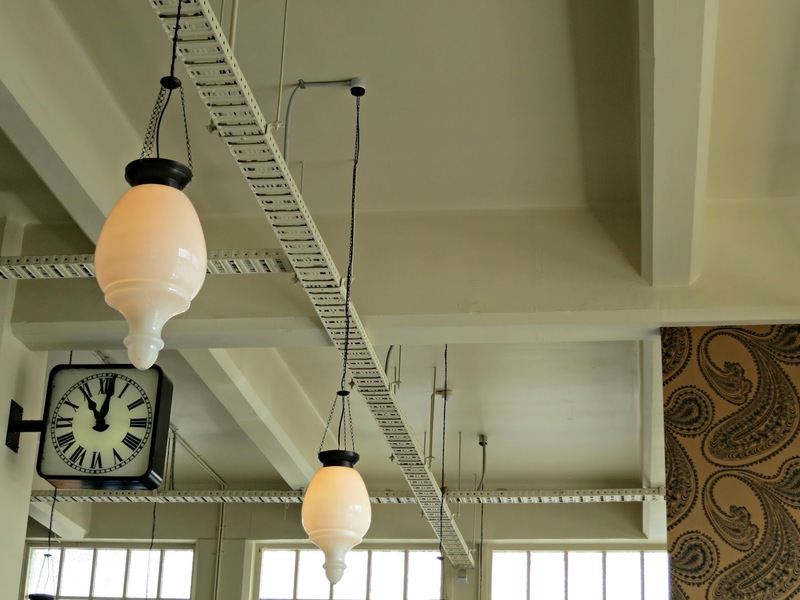 Lonely Planet named it the "coolest little capital in the world" and it really is. Every time I go there I discover another little gem of a cafe or restaurant that I hadn't seen before. However the cafe I have gone to time and time again is Floriditas. We are so obsessed and in love with it! 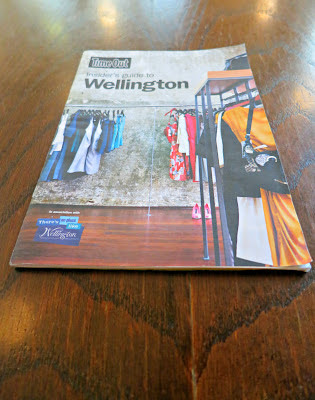 Our very trusty Time Out Wellington guide - we are slowly ticking things off the list. 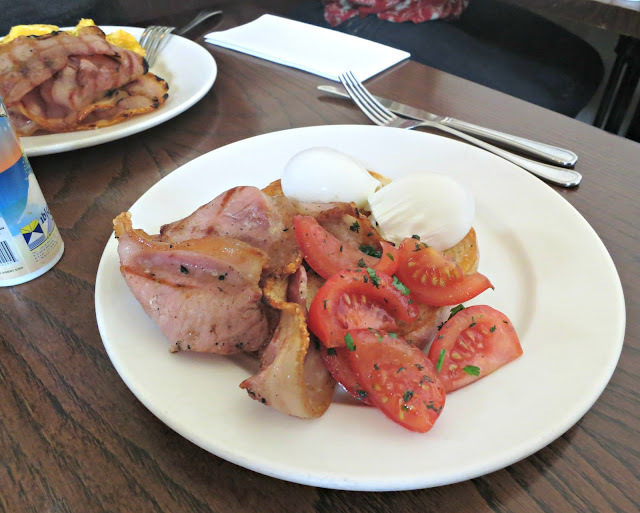 ﻿Floriditas is on Cuba Street, in the heart of Wellington's historic centre and it serves the most amazing breakfast. 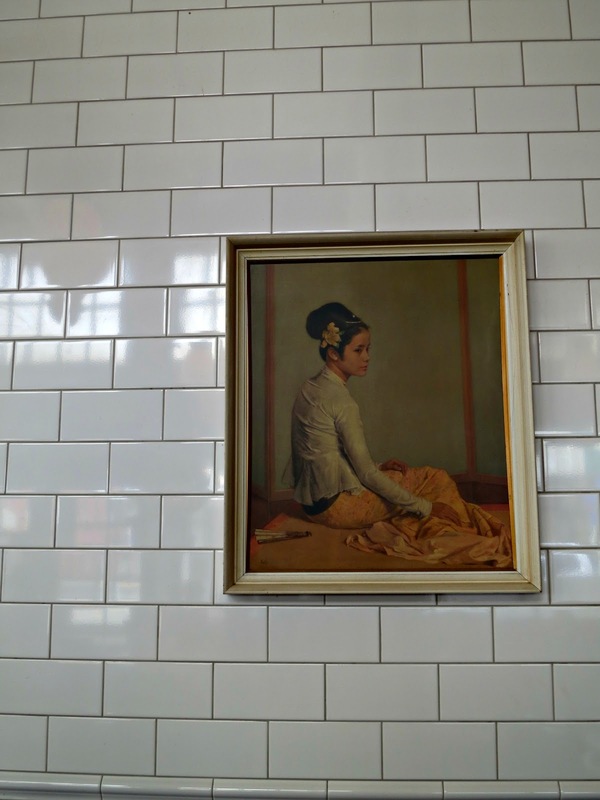 The food is fresh and absolutely scrumptious. This time we tried the scrambled eggs and I can say they were the best scrambled eggs I have EVER had (I am usually a poached eggs girl). 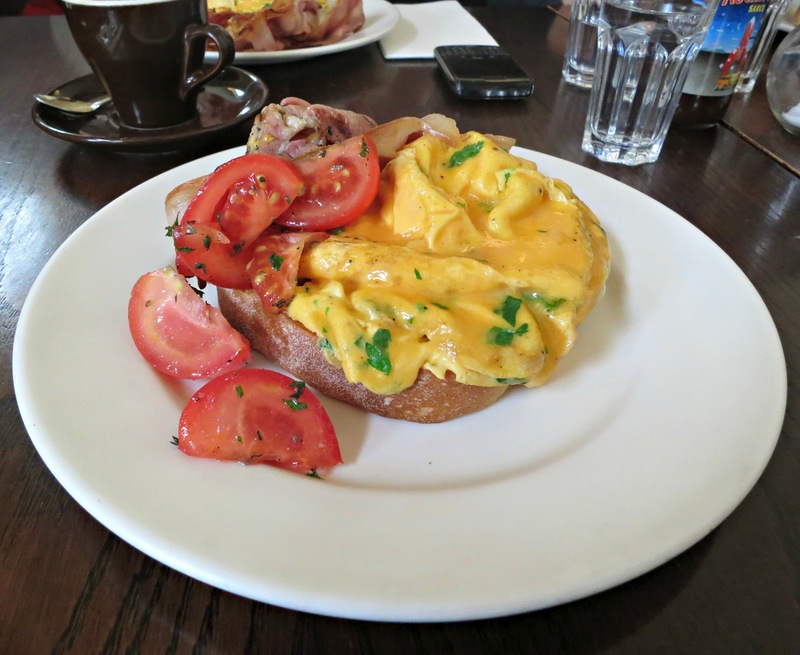 But these scrambled eggs were pure eggy heaven. 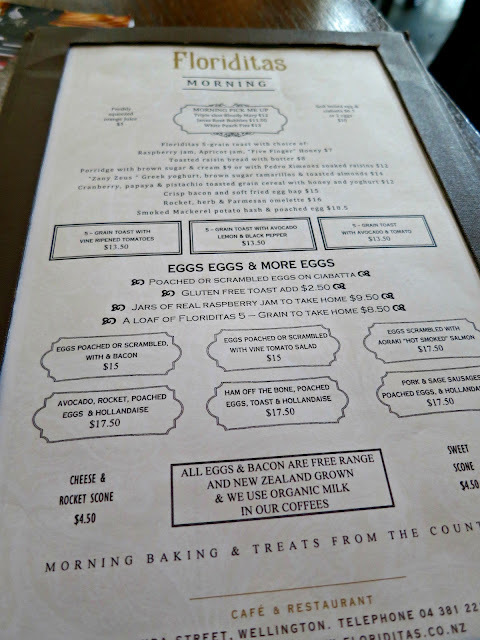 As the menu states the eggs and bacon are New Zealand grown and 100% free range. They also serve the loveliest Raspberry Jam which you can purchase a jar of and take home with you ($9.50 NZ$). The scrambled eggs are to die for! The ﻿interiors of Floritidas remind me so much of a French bistro nestled near a busting train station. I could just spend all day in here letting the day pass. The staff are always polite, welcoming and very friendly (we have found this throughout Wellington, everyone is just lovely and always happy to help, SO not what we are used to in Sydney). 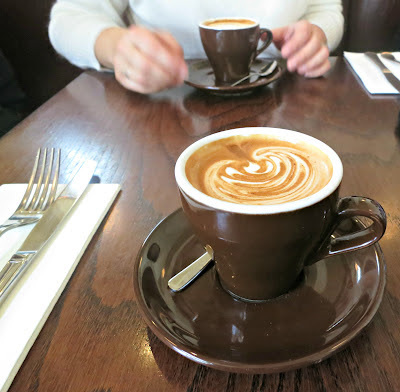 Floriditas also serve great coffee, although like a lot of places we found in Wellington, the coffee is stronger and more intense then how they serve it in Sydney. Always yummy. 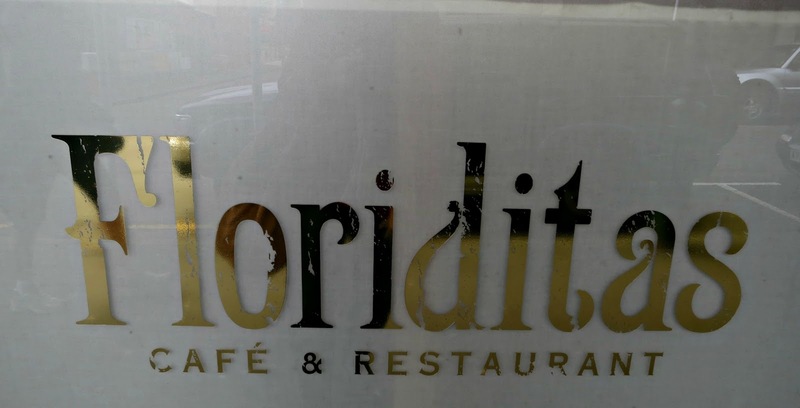 ﻿If you ever find yourself in Wellington, you must start the day off with breakfast at Floriditas... and maybe go back for lunch and/or dinner. 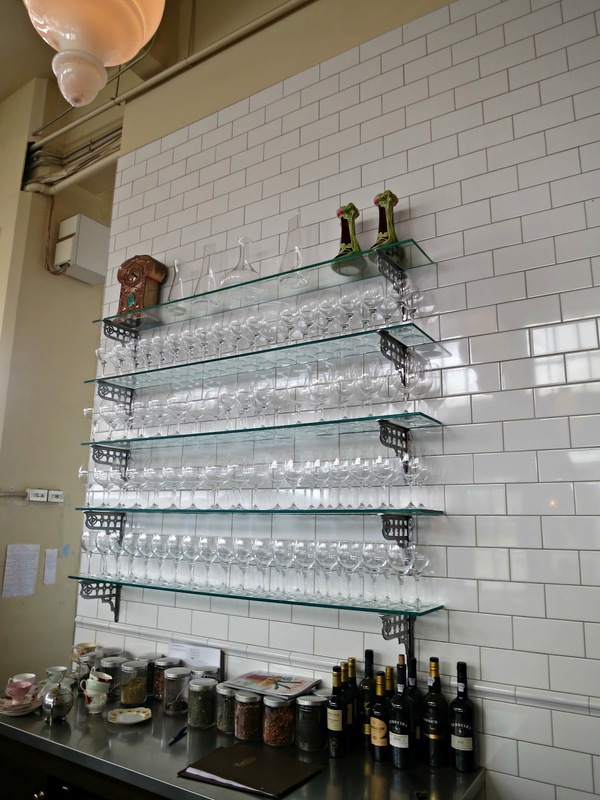 I am SO going here - it's on "my list"! My husband LOVES scrambled eggs...he will LOVE these!